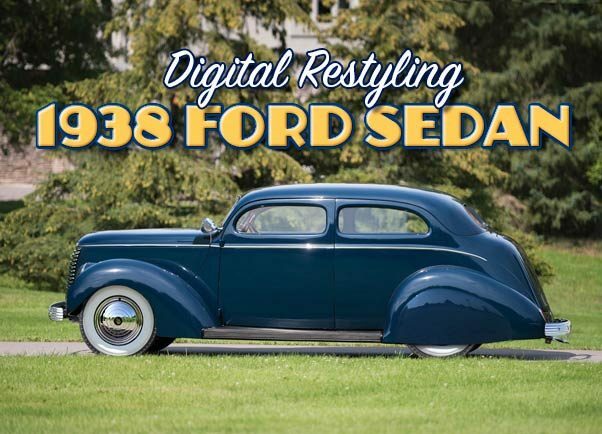 Digital Restyling the 1938 Ford Standard 2 door Sedan as an early Restyled Custom. 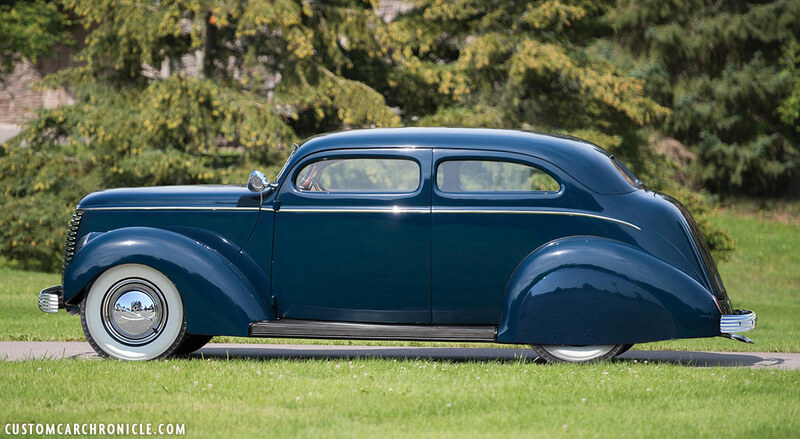 Sedans from these years make such great Custom Cars, which one is your Favorite? 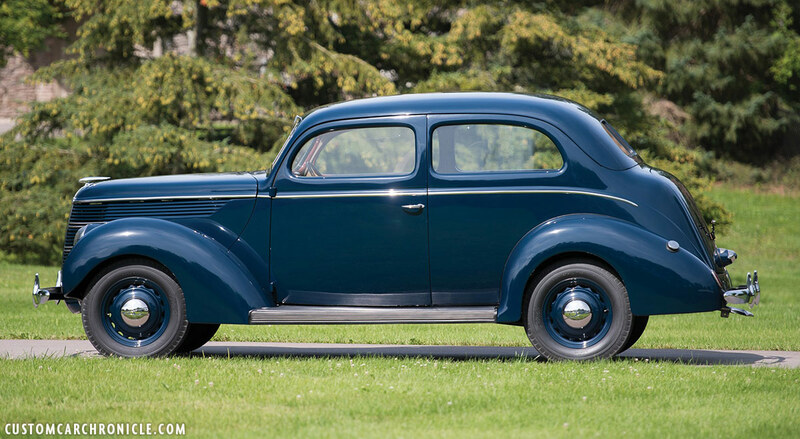 Sedan models from the mid 1930’s to the mid 1940’s have always had a special place in my heart. I love the overall shape of the body, and the idea that they make such neat family cruisers is really appealing to me. Sometimes these, a bit more boxy, body styles take a bit more effort or balls to turn into a good looking Custom. But they really do look good. And back in the late 1930’s and 1940’s these sedans were very often used as full Customs, much more often than we always thought. I have created a few different versions, all based on the same 1938 Ford 2-door Standard Sedan, and all done as Early Restyled Custom from the late 1930’s early to mid 1940’s. Original photo from an RM Auction of a very nicely restored factory stock 1938 Ford Standard 2 door Sedan. A) First version was done as an late 30’s, perhaps early 1940’s Restyled car with a chopped top, with slightly more taken out of the rear. These Sedans tend to have an optical slightly longer rear window, which is even more evident after the chop. So I moved the back of the rear window forward a few inches, and made the C-Pillars a bit wider than stock. Teardrop skirts, lowered suspension, black wall tires with ’38 Cadillac hubcaps and Spotlights. B) The second version is basically the same as the one above, but on this one I added nice wide white wall tires for a more classic look. I also replaced the stock bumpers with as set of 1937 DeSoto bumpers, the perfect set of for any early Custom. I also added a set of “Swirl” DuVall hubcaps. C) Making it a little more sleek on this version with a set of smooth hood sides, and the stock grille made place for a modified 1940 Nash grille that was flipped upside down, and removed door handles. D) This version is the most Classic Version, with the removal of the running boards, which was a very popular treatment in the early 1940’s. A panel was created to hide the frame rails, and three stainless steel ribs styled after the LaSalle’s, and a stainless steel shield protects the rear fender leading edge from rocks. I also added a 1936 Chevy hood side louver with trim piece to the smooth hood sides. E) this version is similar as C), but this time I chopped the top a bit more for that typical heavy chopped sedan look from the early 1940’s. F) This version is perhaps the most radical version. The body was channeled over the frame and the front and rear fenders raised so that the bottom of the fenders is now level with the bottom of the main body. To keep enough room inside I used the less heavy chopped top version for this one. G) This shows the ’38 Ford done a little later in time than the previous versions. Perhaps around 1948-49 done by the Barris or Ayala brothers. 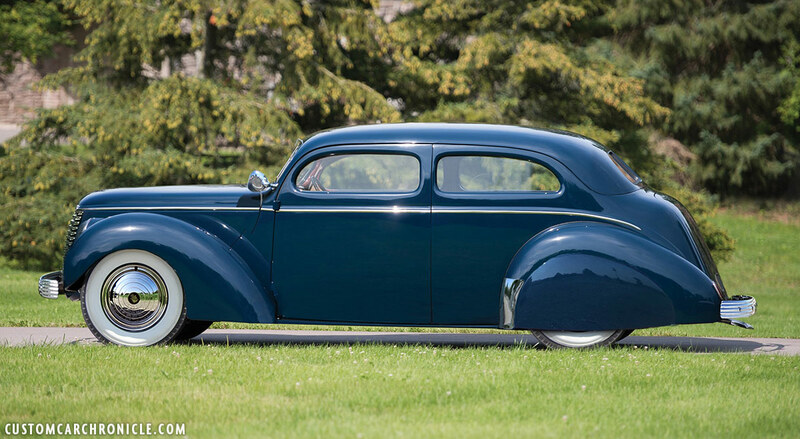 Heavy chop, but with the A-pillars leaned back for a bit more streamline effect. Shaved drip-rail, rounded top door corner, molded in rear fender, removed running boards, 1948 Ford bumpers with the taillights moved into the bumper-guards. Cadillac Sombrero hubcaps and a lower and slight speed-boat style stance. Are you day dreaming about your own perfect dream custom? Do you wonder what your precious car would (or could!) look like, even before you start cutting on it? Would you like to see different paint variations and styled on your custom car before you even start to mask the car, or order that expensive new paint? Or would you like to see the difference of a 2, 3 or 4 inch chop and see the impact it will have on the rest of the car? Maybe you want to see any other modification done to your custom car, without having to actually perform that modification and find out a different modification would have worked better with the rest of your car? Do you suddenly see all the possibilities? 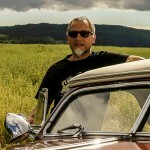 Perhaps now is a good time to contact Rik Hoving and ask him about the possibilities of his digital Restyling options. All versions are very nice but E is my favorite if I have to pick one.